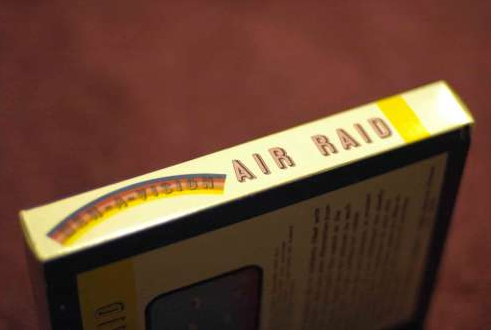 Back in 2010, an Air Raid for Atari 2600 sold for $31,600. It was so expensive because it was the only known copy to include the box. Until that auction, nobody was quite sure the box even existed. Now a copy has surfaced that is Complete in Box WITH THE MANUAL and it is up for sale on GameGavel. Bidding is already up to $11,600 as of this article. 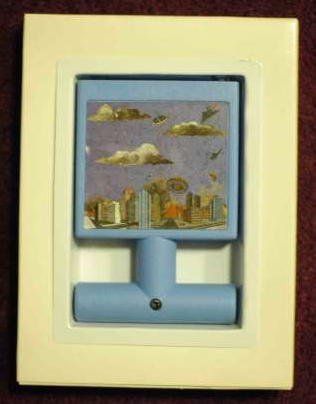 There is a good chance this will sell for more than the boxed version. It is not guaranteed because bidding on these rare games is quite volatile and prices can swing dramatically based upon who is bidding. If it does sell for more than the boxed version there is a chance it will be the most expensive video game of all time. The story behind how this Complete Air Raid was found is pretty interesting. You can read the whole account on the auction, but the owner was a manager at a a drug store in the 80's. 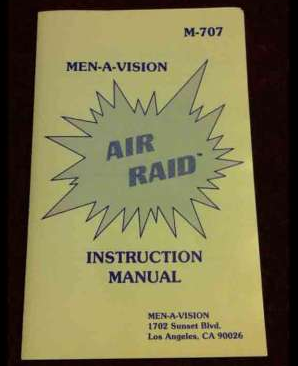 A game rep for Men-A-Vision came in and asked if the store would carry a game called Air Raid. The manager asked if he could take it home and try it first, common practice with these sales reps according to the owner. The sales rep gave the owner his last copy to try out. The owner said it wasn't anything they would want to carry and told the rep he could pick it back up. The rep said the manager could keep it. 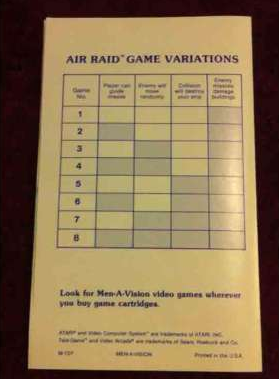 The manager bought the game from the drug store and kept it in his closet. A week ago he saw an article about Atari history and the article mentioned Air Raid and how it sold for $31K. I remembered he owned the game and found it again after some searching. 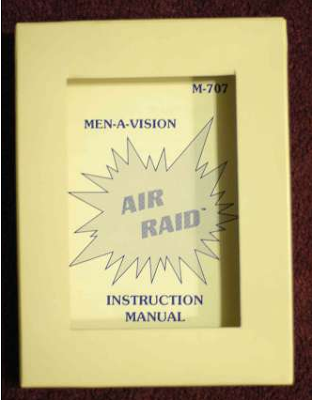 While he was preparing some high resolution photos to send to AtariAge, his daughter found the instructions behind the plastic display case. @Rudy - Its jumped to $17,000 now. I'm guessing there will be a ton of activity at the very end. Most really serious bidders wait until the last minute to place a bid.